Разстояние до летището 36,5 км. Имате въпрос към Nagomi-Ryokan Yuu? Nagomi-Ryokan Yuu е благоприятно място за почивка и отмора след напрегнат ден, добре разположен в култура, пазаруване, разглеждане на забележителности зона на град Киото. Оттук гостите имат лесен достъп до всичко, което този оживен град може да предложи. С удобното си местоположение хотелът предлага лесен достъп до всички градски забележителности, които задължително трябва да се видят. Прави се всичко възможно гостите да се почувстват удобно. Затова хотелът предоставя най-добрите услуги и удобства. Този хотел предлага множество удобства, за да задоволи и най-изискания вкус. Дизайнът на хотела е съобразен с най-високите изисквания за удобство и комфорт, осигурявани от съоръжения достъпни в някои стаи като хавлии, достъп до интернет (безжичен), безжичен интернет достъп (безплатен), стаи за непушачи, климатик. Хотелът предлага прекрасни развлекателни съоръжения, такива като градина, които ще направят престоя ви незабравим. Открийте интригуващата комбинация от професионално обслужване и широка гама удобства в Nagomi-Ryokan Yuu. Please be informed that the children at the age of 0 - 5 will be charged at JPY 500 Yen per child. children age of 6 - 12 will be charged at JPY 1000 Yen per child. Extra bed is available upon request. Please contact the hotel directly. Please be informed that if you need a futon for children below the age of 12, hotel will charge same price as adult. Booking on the same day of arrival after 09:00 PM will not be accepted. Kindly contact the property directly. The property is a traditional wooden house. Guests may hear some noise creaking through the walls due to the nature of the house's structure and materials. The property has a main building and an annex. Guests are required to check in at the main building. Never expect much because we got a budget room. 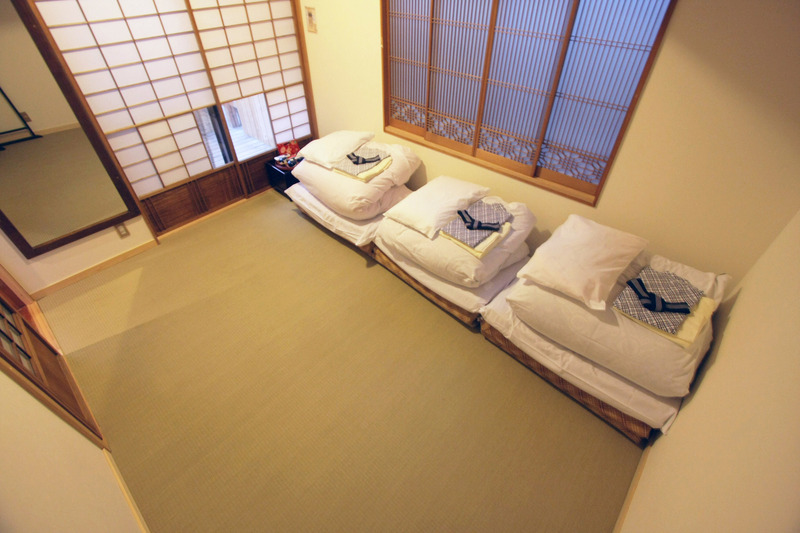 An awesome experience staying in the ryokan. Great location. If carrying heavy luggage not recommended.. hotel is prefer instead. The room is just nice for 2 futtons, with small private toilet and some spaces for TV, small table, and luggage. It's near some bus stops and Kyoto Station. Overall is comfortable. Just that it's a bit confusing for the first time, as the ryokan has many buildings. The ryokan literally located in the middle of the city (around 10 min walk from the Kyoto station), the shared bathroom, toilet, kitchen and living room are clean. The room is big and basic facilities are available except you have to rent towel if you required. Overall it is a good experience. If you are not after a five-star experience, Nagomi Ryokan Yuu is a no-frills traditional Japanese Ryokan in a Machiya (traditional wooden house). 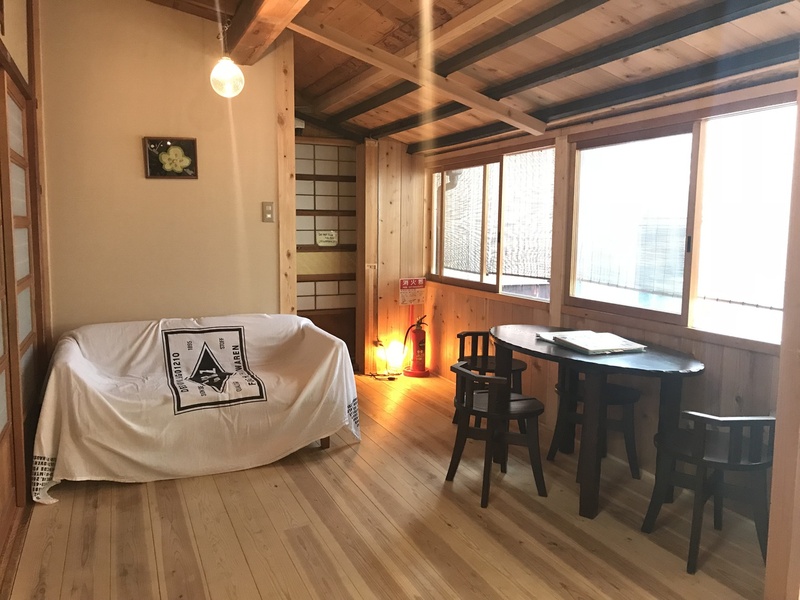 It has all the basic amenities (Tatami, Futon, Communal bath etc), a small restaurant that serves breakfast (at an extra cost) and a communal kitchen if you want to cook your own food. Staff are super friendly and have superb English skills. 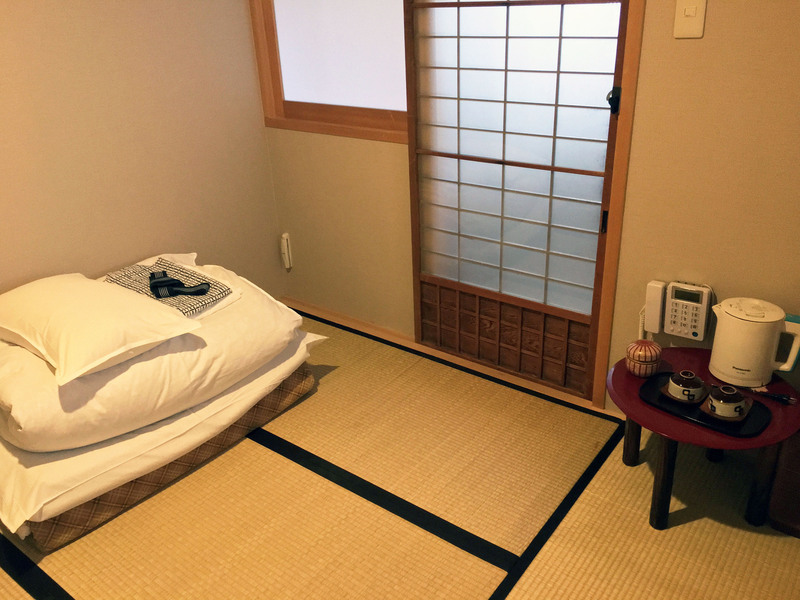 The Ryokan's location, half way between Kyoto station and Nishiki Market, makes it the perfect base to explore the city. The location is far from Kyoto station, you need to walk ~20 mins to the station and there is no many shops nearby. Also the room is dirty and you can easily see lot of dust. Air-condition is not cold. Location is quite far from the main street. We came in with 2 big luggages and we stayed on the 2nd floor where we have to carry our luggages up to our room which is not convenient at all. The heater takes a long time to finally heat up the room. Room smells really awkward and when i said this problem to reception they implied that smell is because of new bamboo mat but it is unbearable. 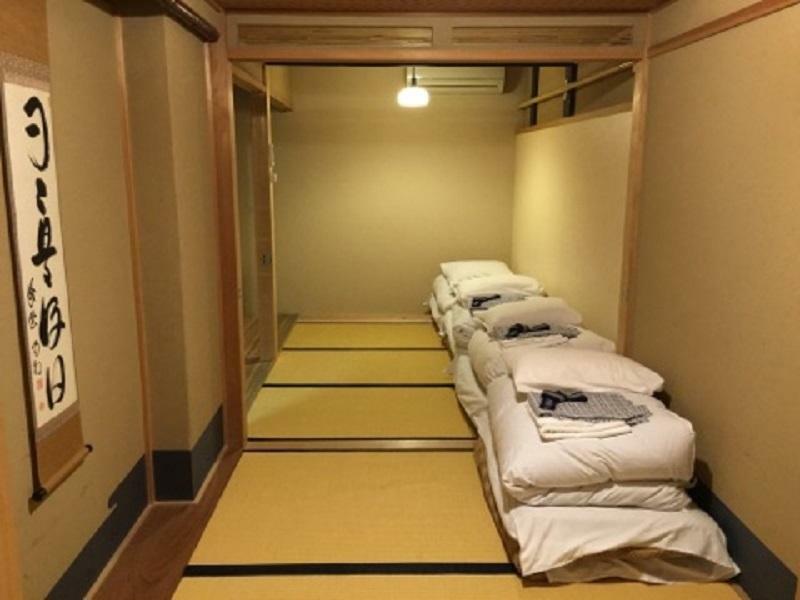 not a ryokan experience i was expecting. it is a hotel in a good place but not a good in it. typical house covered with modern items. 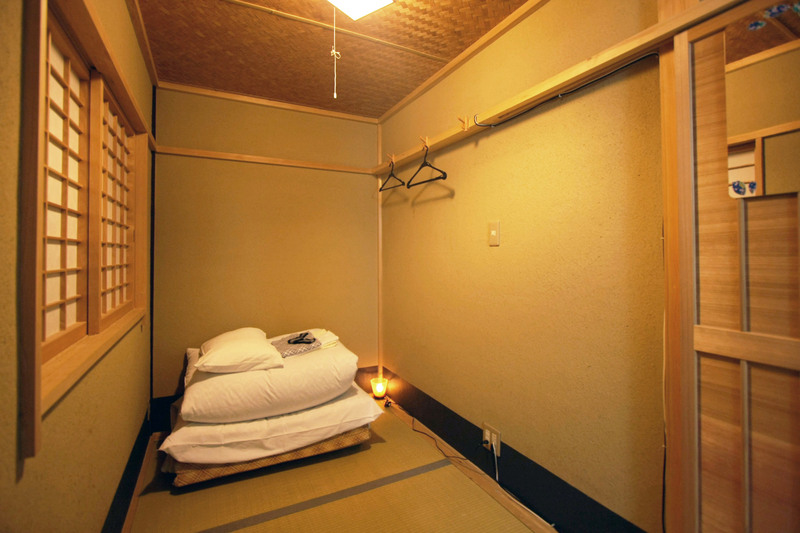 I stayed for a few nights in the small solo room and found it is a perfect compromise between a modern hotel and a ryokan. 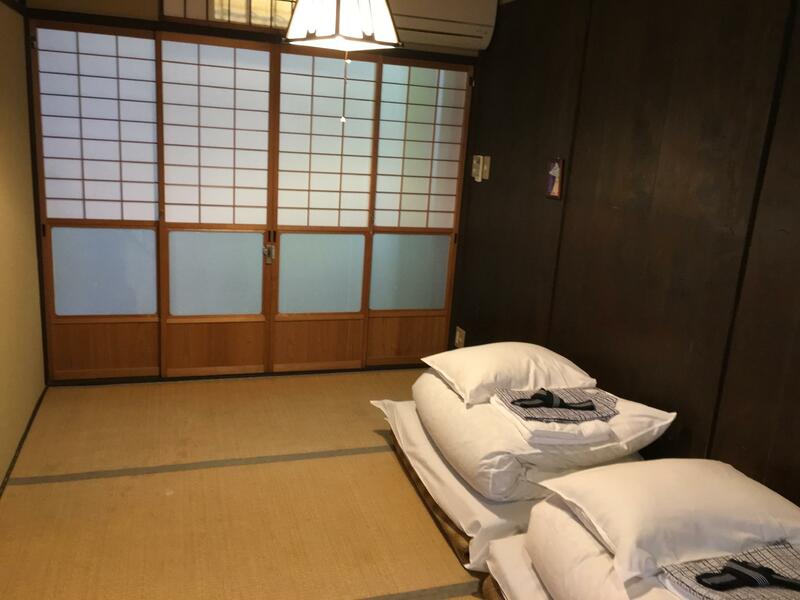 I had ensuite bathroom which is really convenient, and the tatami room, being small and no frills, did not feel stuffy or gloomy, as there was a window to the courtyard. I personally love sleeping in a futon, but those who prefer a fluffy mattress beware. The staff was friendly and the breakfast very tasty, served in a breezy room facing a courtyard. It was lovely overall, keep it up! we went to the address given by this website but it was not the actual hotel, we asked the crew where is the hotel the problem no one can understand us. we called the hotel but we can not go through them. we asked around where exactly the hotel but no one can understand us (we spoke english). Until we walk to an alley perpendicular to the hotel address given in this site, we saw nagomi ryokan sign, there we enter the compound, the staff were friendly and apologetic. the room was clean and wide. they asked us if we want to eat breakfast (additional fee applies) so we asked for the menu but there's only one menu available for breakfast so we said no. The location nearby with the main road and convenient store. Clean and tidy room. Hotel workers able to speak good english and very friendly. 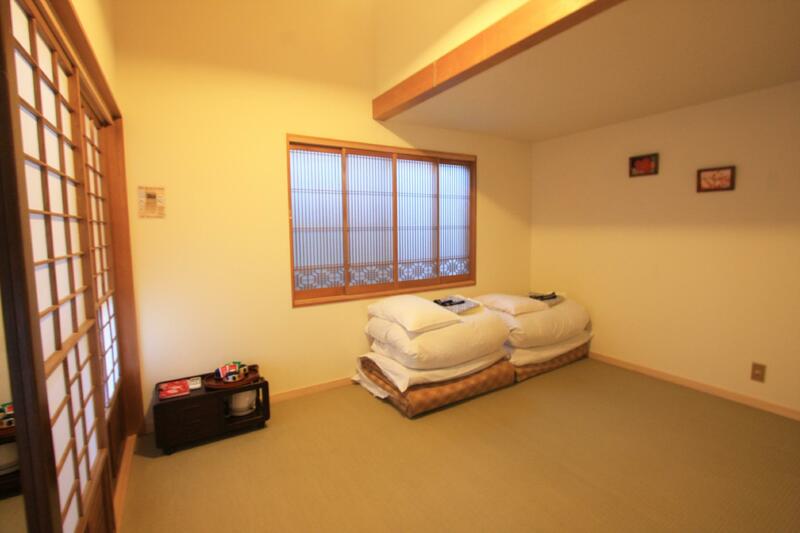 It was a good experience for ryokan hotel with affordable price. 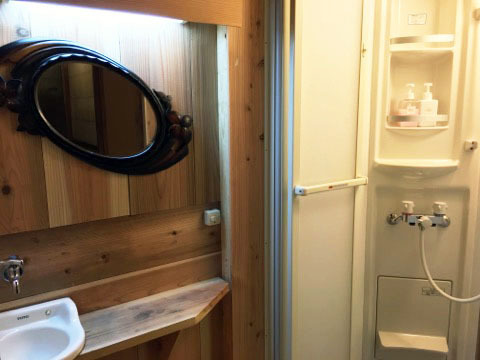 The location nearby with the main road and convenient store and walking distance from kyoto station. The room and the facilities are complete and clean. All the workers able to speak good english and that makes everything even better, we've been entertained by one of the workers named Mai (if im not mistaken her name) and she's very friendly. 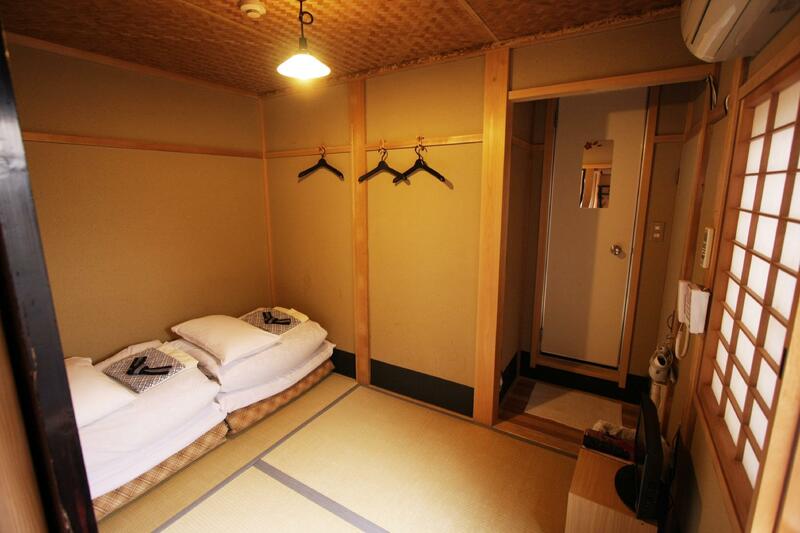 The hotel provide a kimono rental service, advisable to book once you check in. Other than that, they also provide bicycle rental that only cost 600 yen per day. We are very satisfied with this hotel! clean & tidy. but it has low ceiling you have to band your back to go inside. and it has only one paper/wooden door so you can hear the other guests voices. feels like dormitory. staff was in other place near hear, they come when you call, speaks English well, and really nice and look professional. everything was really good. It was perfect. Our only issue was that breakfast was all booked when we decided to opt-in for breakfast. It's our own fault, because they offered it to us in check-in, and we said no, then later changed our minds. So that was slightly disappointed, but not on them at all. We had a great time staying there and will definitely go back! Perfect introduction to Kyoto; Superb rooms; Photo op in kimono. Second stay, and still impressed! Friends were over the moon with the room, the kimono "dress-up" and the city of Kyoto. Needs more time here to see what is possibly the most beautiful city in the world! Friendly, knowledgeable, and helpful staff, near the kyoto station, super close to the onsen! It was fantastic! 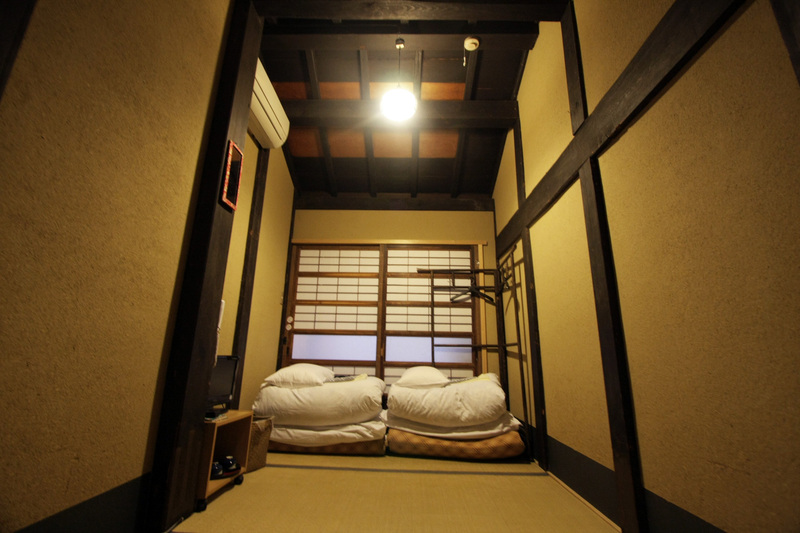 I love the traditional room and the bathhouse was right down the street. Loved how clean and neat everything was and the handmade menus added a nice touch. Rooms give you privacy and you can make your own tea! We spent a lot of time here, watching TV, planning trips, cooking breakfast and dinner. The kitchen has a microwave, electric stove, a small oven, a big fridge and almost all necessary utensils, very nice and modern. 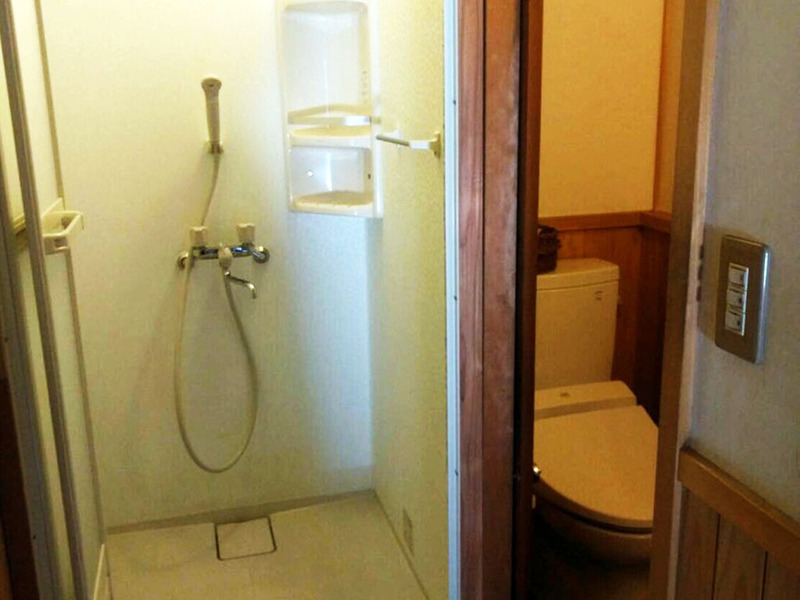 The bathroom was quite spacious, with shower and bathtub and even a small TV inside. The water heating system was quite "advanced" with many buttons and it can speak to you in Japanese. There was two sleeping rooms on the second floor. The room was a bit small, besides our three mattress/futon lying side by side, there was just enough room to fit our suitcases along the wall. But we only slept there during the night so it served the purpose well. There was a supermarket nearby about 5 mins walk so we cooked a lot by ourselves and saved some money. The hostel was in a quiet neighborhood and about 15 mins walk to Kyoto train station. We arrived late at night with big suitcases so it was a bit hard to find the hostel. The staff was ok, a bit rigid though. 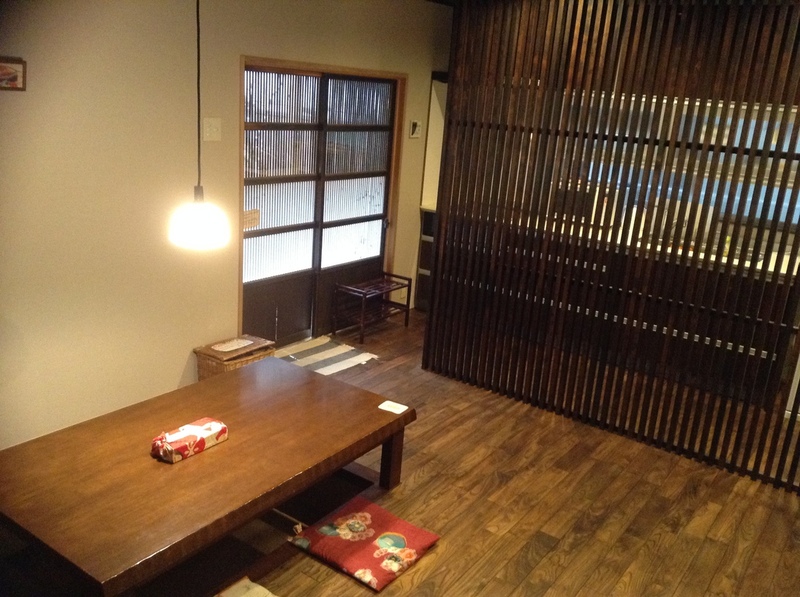 My stay at Nagomi-Ryokan Yuu was overall a good experience. 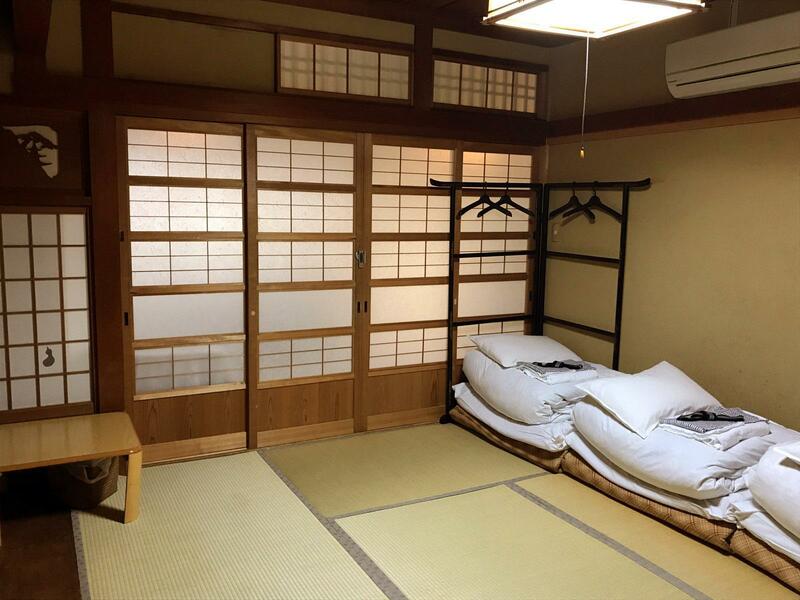 I stayed in the traditional Ryokan style room for three nights. 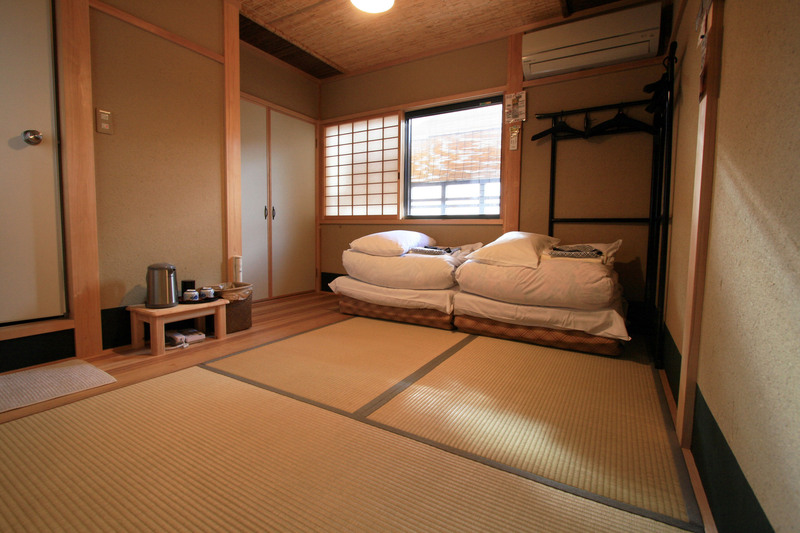 The room was small and there was no bed, but that is to be expected in both Japan, and especially when staying in a Ryokan. The staff was super friendly and spoke excellent English. Free wifi in the entire building. They do have kitchen with a stove and also a coin-laundry on site which is a great if you need to do laundry. If you are looking to have a small taste of a the basic Ryokan experience, for the price this overall was a good deal. I wish i stayed longer here. The staff are all nice, though the place is a little bit far off the main city attractions. but nonetheless, We had a great stay! Location quite far from Kyoto station...we stay 5 person japanese room with share bathroom...room a lot of dust! I stayed here for 1 night. The room was quite old but clean. This hotel is far from metro station. I had to walk around 15 mins to Kyoto station but it's OK if you are a backpacker. 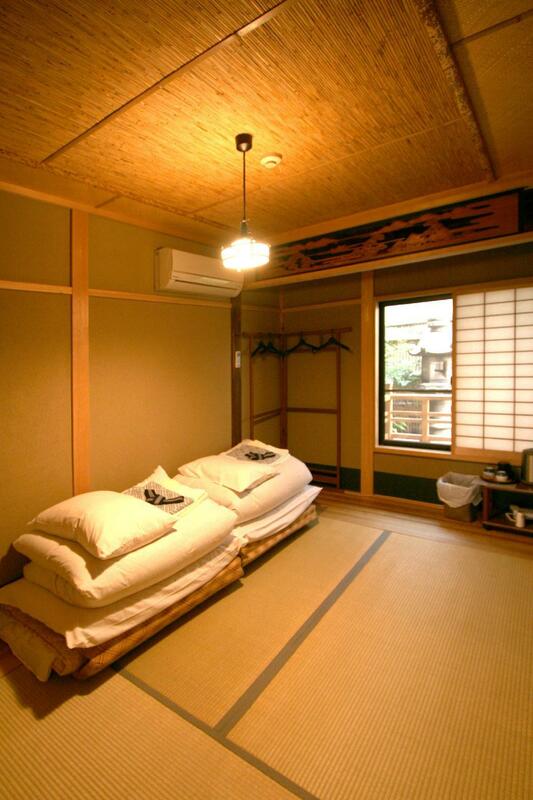 We experience staying in a ryokan. The staff are friendly. The ryokan is quiet and clean. Will come back to stay whenever i drop by kyoto.